Each bracelet is $8.00 if purchased in person, $10.00 if mailed in the U.S. (Additional $2.00 to cover the cost of shipping.) 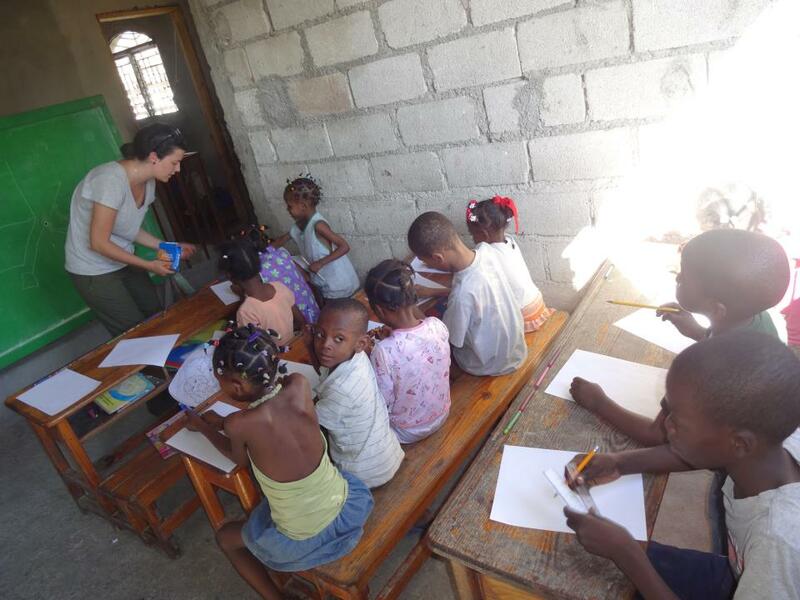 If you are interested in purchasing, please contact us at info@bethehopehaiti.org or message us on our Facebook page http://www.facebook.com/bethehopehaiti. Thank you! A lot has been happening! We had our very first interview on February 20 with a reporter from the Fountain Hills Times. I was able to spend an hour talking about the back story of how Be The Hope came about, our short term and long term goals, our fundraising efforts, etc. We expect the article to be in the March 6 issue and I can’t wait! 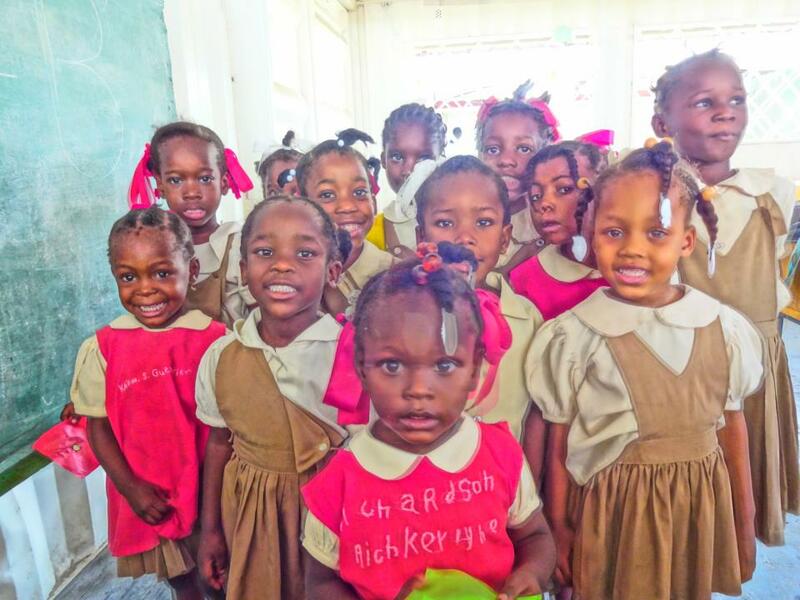 We have a new fundraiser that will help people in Haiti earn a living and help us raise funds for our cause. 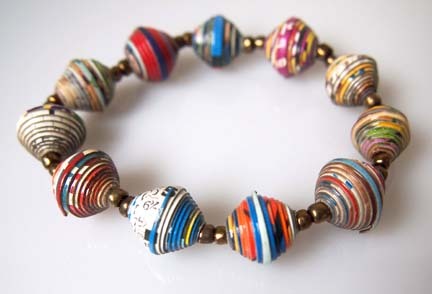 We received an order of 150 Paper Bead Bracelets handmade in Haiti earlier this week. 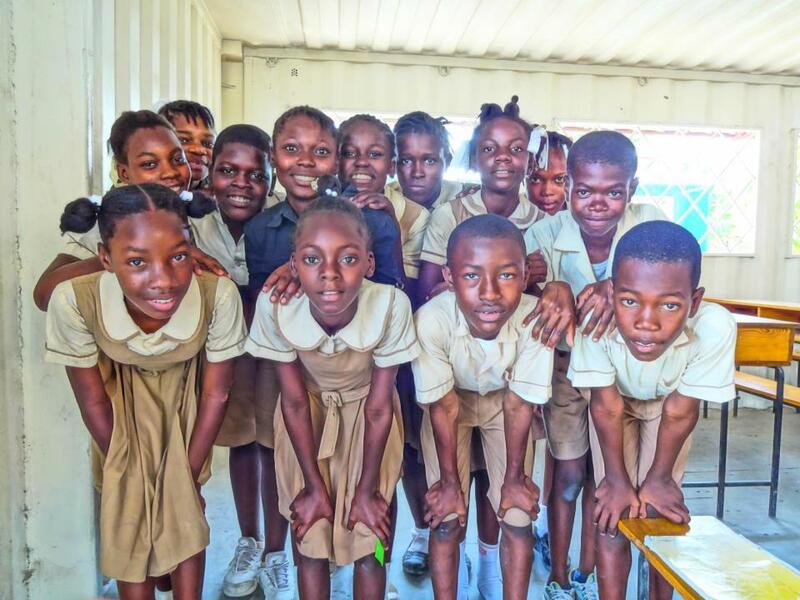 Haitian artisans use almost any kind of paper: magazines, scrapbook paper, cereal boxes, or other kinds of packaging material to make the beads. The paper is cut into thin strips using guillotine paper cutters. The strips are then carefully rolled on bamboo skewers and then coated with a waterproof coating that serves to protect the bead. 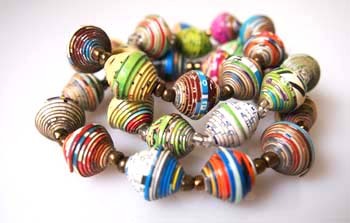 After the beads have dried, the artisan will mix the paper beads with seed beads to make beautiful handcrafted bracelets. Every purchase will support the artisan AND help us raise funds to provide a child with a backpack full of school supplies. It’s a WIN-WIN! I will be taking pictures of the bracelets this weekend and will be posting them on our Facebook page. http://www.facebook.com/bethehopehaiti We are selling them for $10.00 per bracelet which includes shipping in the U.S. If you are in the Phoenix area and wish to purchase them in person, they are $8.00 per bracelet. (Because we save the shipping cost.) 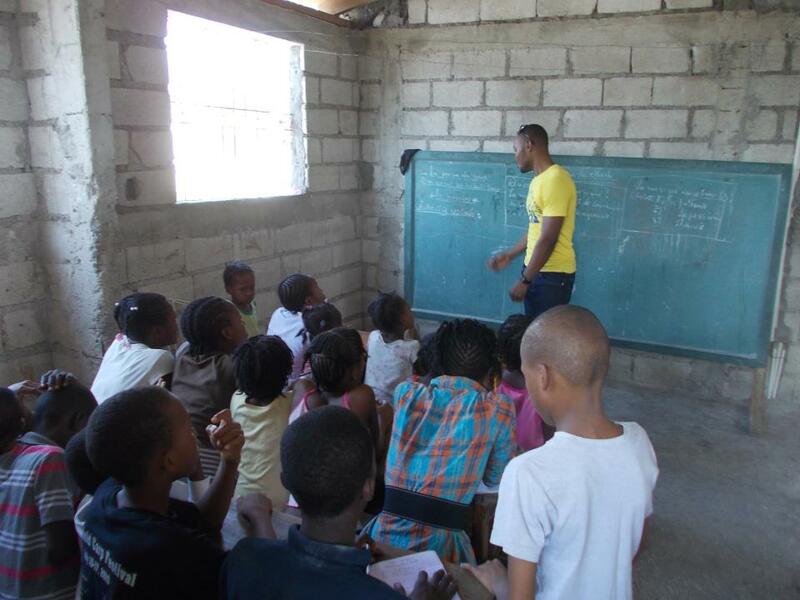 Every bracelet includes information about the Haitian artisan that created the bracelet. We are also finalizing the details to set up a booth at the Fountain Hills Farmer’s Market to help spread the word about our cause. The market is every Thursday from 11:00 – 5:00 on Avenue of the Fountains. We will be accepting monetary donations as well as backpack donations. We may have the bracelets there as well, but we’re still trying to get that approved. Lastly, we are trying to get some backpack donation drives set up through schools. If you have a school age child and would like to spearhead a drive for us, please let us know.